S.R. 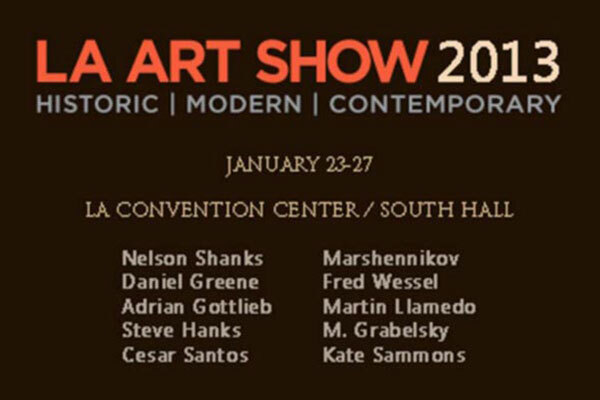 Brennen Fine Art is one of the premium-quality galleries exhibiting at the L.A. Art Show this weekend, to be held at the Los Angeles Convention Center. This gallery will impress with its offerings of fine figural work in forms both traditional and innovative. 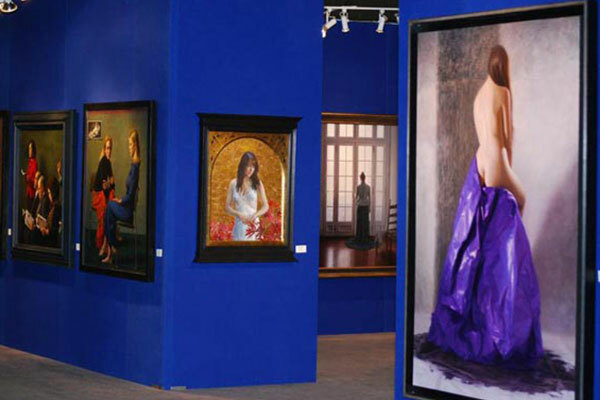 Established in California in 1981, S.R.Brennen Fine Art has committed to showing the best of contemporary realist art. They represent artists in a variety of styles, a swathe covering “traditional Impressionism, Post-Impressionism and Realism to the more contemporary and provocative.” In addition to fine representational art by contemporary artists, S.R. Brennen’s collection includes American paintings by museum-quality artists from the 19th and early-20th centuries. Nelson Shank’s “Salome” is a visually seductive painting, in which the subject is boldly engaging and distinctly contemporary. Shanks captures an exotic allure throughout, highlighted by brilliant passages of color like the coin purse at the lower left. Also included in the show is a striking still life by Shanks, titled “Danilova’s Slipper.” Another intriguing work, Llamedo’s “The Letter II,” engages concepts of materiality and space, juxtaposing the softness and curvature of the figure with the hardness and linearity of her ambiguous surroundings. As a whole, the group visualizes several directions for contemporary figural painting, as these artists place their subjects in environments alternately realistic and imaginary. Santos provocatively demonstrates that a painting itself may become a background.